Whether your farm offers summer produce co-ops or hosts pumpkin patch rides, your agricultural-based company needs space to efficiently and safely store the tools and supplies that power your business. 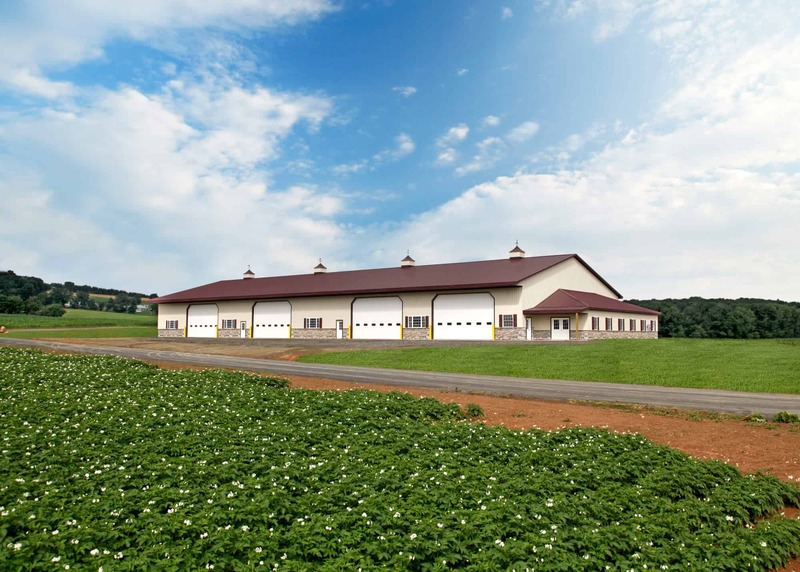 The benefits of adding an agricultural storage barn to your property are nearly endless. Protect machinery and other equipment. Equipment downtime during planting season can cost as much as $600 per hour, according to the Purdue University Cooperative Extension. That money can make a significant difference in your bottom line—after all, you can only work efficiently if the machinery you’ve invested in is in good working order. Adding agricultural storage buildings, like a well-constructed barn, will help you protect valuable equipment investments from the elements. It can also reduce the risk the machinery will be exposed to animal damage. A builder with experience in commercial barn design will also have the know-how to guide you through important decisions, including how to position the building so it’s convenient to traffic flow. Running an agricultural-based business requires a lot of property and equipment upkeep. For some agribusinesses, it makes good economic sense to have an onsite workshop to handle repairs and regular maintenance. A new storage barn with a workshop should be designed to maximize space and allow you or your employees to complete maintenance quickly and efficiently. Work with an experienced commercial barn builder to create a workshop that factors in space needs, drainage, electricity, heating, pneumatic lines, and other considerations. A properly designed storage facility will help your agribusiness run more efficiently. A barn can be built to your specifications to maximize storage and workflow, whether you need a two-story barn or a wide aisle to allow a tractor to run down the center. Agribusiness storage isn’t just a matter of convenience and productivity—it’s also a safety issue. From bags stacked in aisles to electrical wires snaked through rooms, overcrowded storage spaces easily lead to accidents. And those accidents can result in downtime as well as an increased chance for workers’ compensation claims. A properly designed barn may help reduce those risks. Add to your property’s aesthetic value. While metal barns offer some advantages, wood barns embody a timeless look that adds aesthetic value to the property. It can be an important factor for any business, but even more so if you live on the land you work. What’s more, a traditional-style storage barn can be constructed to include specific branding elements, such as color or architectural style. You also have the option to add finishing touches like cupolas, wainscots, shuttered windows, and more. The result is a warm look that makes your business feel as good as home—for you, your employees, and any customers you serve onsite. An investment in an agricultural storage building on your property may qualify for tax benefits, such as bonus depreciation. Always consult your accountant or a tax professional to learn whether a new storage barn would qualify for depreciation. Maximize your investment by working with an experienced barn builder. From building permits to 3D modeling, Quarry View Construction’s team offers the expertise and tools to build an agricultural storage barn that makes your business more efficient. Get in touch with our team today to tell us how we can build the right barn for your farm or other agribusiness.